Does it Still Contain Minerals? If it Feels Good on my Skin, is it Good to Drink? Hard water has high concentrations of calcium, magnesium and other minerals and it is not advisable to drink. These minerals are inorganic and will build up in areas of the body especially the joints. Drinking hard water should be avoided as much as possible. 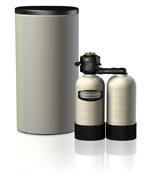 When hard water goes through the membranes in a water softener its properties are changed and some minerals are removed. This membrane needs to be back flushed with salty water to clean it out. The salty brine waste is drained into the sewer system; because of the highly concentrated waste from many water softeners some cities have restrictions on installing water softeners. This softened water still contains many inorganic minerals and because salt is used to back flush the membranes the water now has a higher concentration of sodium. Water from a water softener will definitely feel good on your skin and the soap will easily lather up. Drinking soft water from a water softener will still contain many minerals and now has a higher concentration of sodium, for these reasons it is not advisable to drink softened water. The purest water you can put into your body is steam-distilled water you make yourself with your own water distiller. 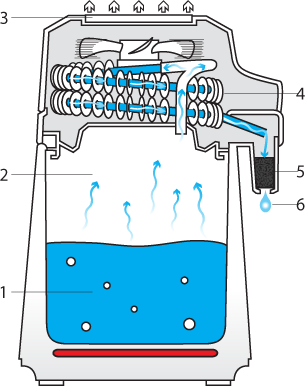 A water distiller will remove 99% impurities including sodium from hard or softened water. No Benefits to Drinking Softened Water. Feels good on your body, Soap lathers Easily. Less build up of scale and minerals in plumbing system restricting water pressure. Drinking soft water is best done after it goes through a water distiller. A water distiller removes 99% impurities including salt.